I initially read this book way back in 2014 for as a Book Club Book and fell in love. 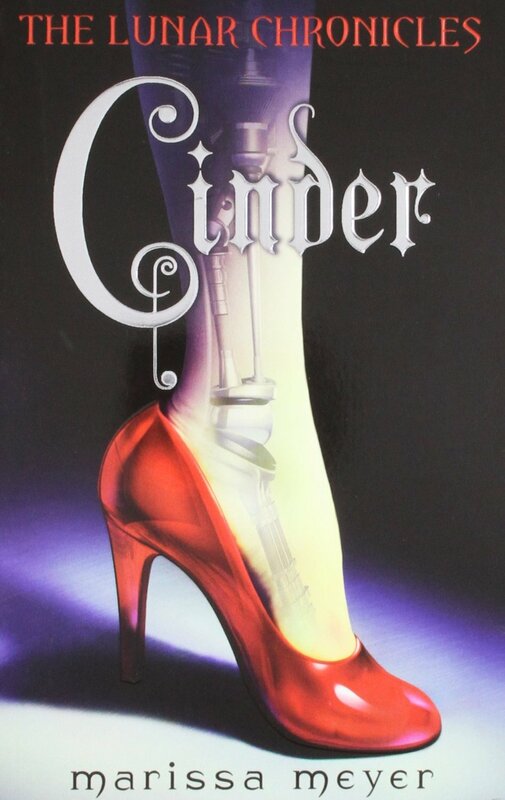 Unfortunately I never made it past the second book in the series, Scarlet. Due to such a great response to my Book Bingo Post, I thought I would share the love and post a blank Bingo Card for people to use. To use this card, all you need to do is click the image, ‘Save image as,’ and then go to town filling in the blanks. There are many different ways you can edit this image, if you have the software you can use the Adobe Creative Suite, use Canva which is free and in browser, or simply pop it into paint and add text to your hearts content. If you do use the below blank card, be sure to let me know! I’d love to see what you’re challenging yourself with this year! It’s that time of year again! 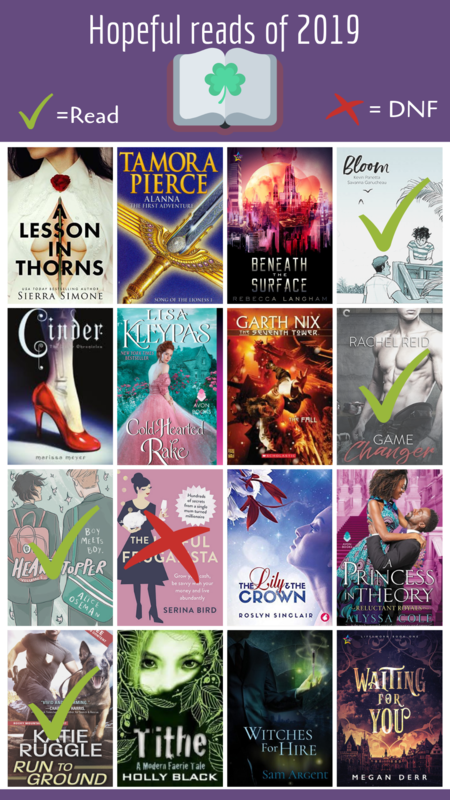 Reading challenges were met, I’ve finished reading Christmas themed romances, and now I am looking to the new year. I figured that since I focused on my Comfort Zone Challenge last year, I would go back to Book Bingo this year. 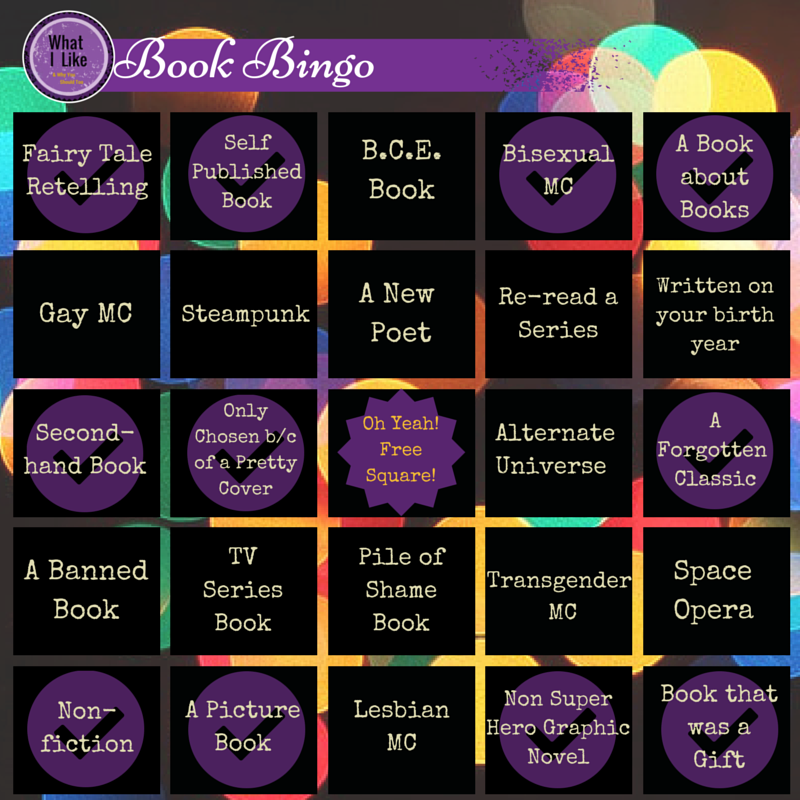 I had a fun time trying to expand upon my last Book Bingo Card and really challenge myself. I did find last time though, that I was struggling to fill the spaces as I wasn’t really looking forward to reading books that would fit the squares, so this time I made sure to give myself wiggle room. Squares such as Shifters, Western Romance, Sports, Fae, and Paranormal are all kind of vague. This vagueness and lack of specificity should help me keep my motivation throughout the year as I can easily find books to my taste to fit those genres. If you are wondering, MC means Main Character and Poly Romance is referring to a polyamorous relationship. 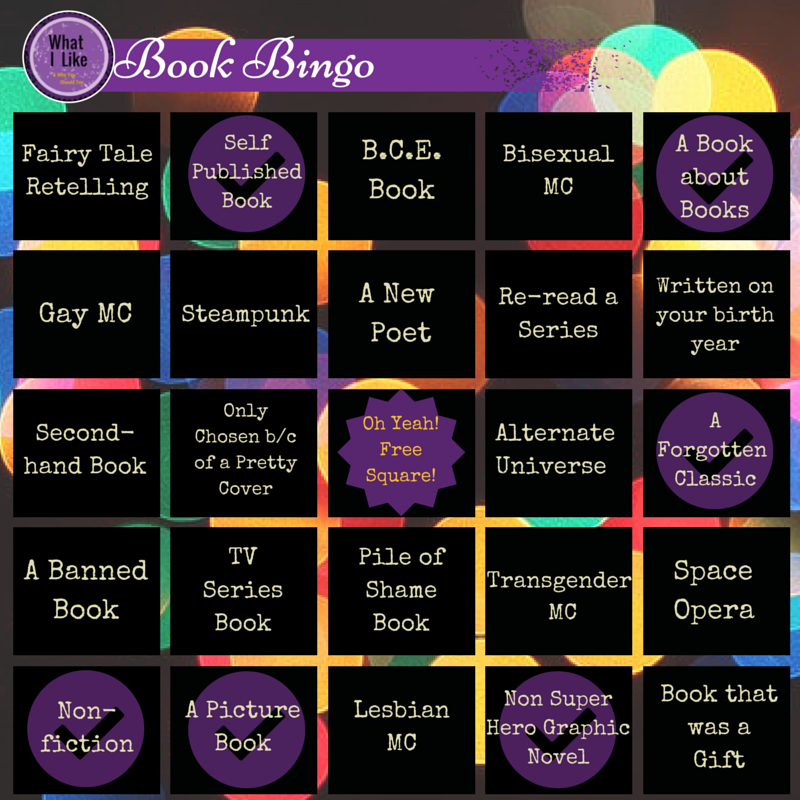 In preparation for next year, I am getting started on my 2019 Book Bingo card! I have previously completed a Bingo Card in 2015 and I absolutely loved it. I was a little slow off the mark last year in putting one together, however I replaced it with the less intensive Comfort Zone Challenge which was also really fun. For the other previous years, I had taken a break from the blog, so I am really looking forward to tackling another Bingo Challenge! In light of this, I am trying to think of Bingo squares and am struggling. So far I have thought of fifteen and have really just hit the wall in terms of thinking of others. 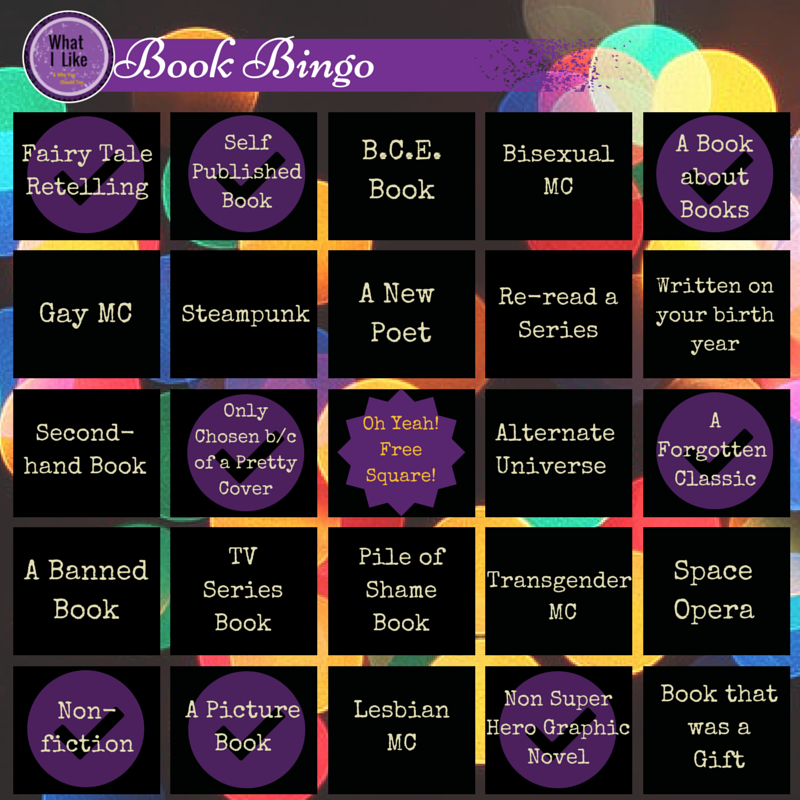 So I’m putting it to you, do you have any suggestions for books, themes, or genres to add to my 2019 Book Bingo card? This post is a mixed bag as I read The Big Over Easy a few months ago but only just recently finished Love for the cold-blooded and Very Good Lives. Additionally I am in the middle of choosing a few books to fit in the categories as well as finally getting around to reading my previously chosen ones (New Poet I’m looking at you). I have previously read this book many years ago and liked it so much that I picked it for my book club choice. The book is my second hang read as I picked up my copy at a local book shop, the copy is a particularly large one which is itself large print. I usually dislike reading large print books but for the $2 that I paid for the book, I gladly put up with it. If you have never read Fforde before, you will be surprised by the intertwining and extremely nuanced plots at play. I found with this book, that there were lots of little nods and jokes made about nursery rhymes and other such tales, some I got some I didn’t pick up until later when the reference was unmissable.